HomeThe Russian Military are in Syria. The Russian Military are in Syria. Russian forces perform infantry combat drills in Tartus (also spelled Tartous) in Western Syria as curious locals look on from above. At the start of August a story emerged of the Russian President delivering a furious message to the Turkish President Erdogan via the Turkish ambassador to Russia. Ümit Yardim. The story was impossible to verify but the reported high point of the conversation was the Russian President promising to provide Turkey with “a big Stalingrad”* in Northern Syria. The story was colourful and got a lot of attention, it was amusing enough but I thought Well how would he do that, given that no Russian forces are involved in combat in Syria?. 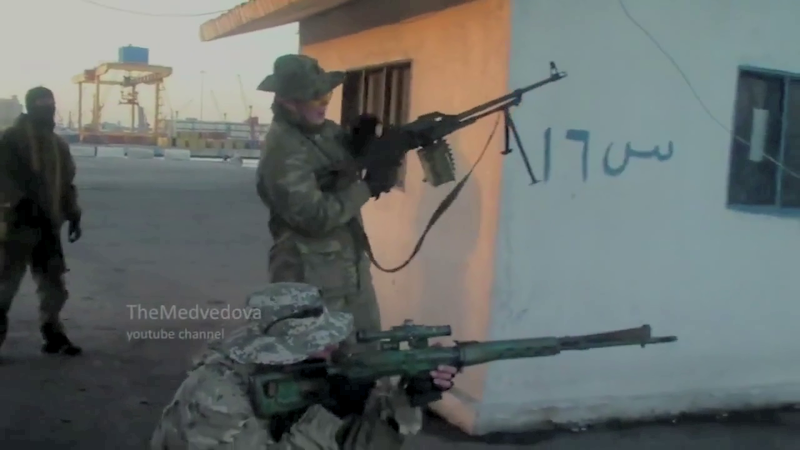 The Arabic lettering on the building and the Port visible in the background indicate the footage is authentic and was shot in Tartus. A month later video has emerged of Russian infantry apparently preparing for combat at the Russian Naval base in Tartus, Syria. This video supports the story that Russia has decided to increase its military support to the Syrian Government in their military operations against foreign backed jihadist fighters. The video is clearly shot in a Port and there is Arabic writing on the buildings where the troops are training. 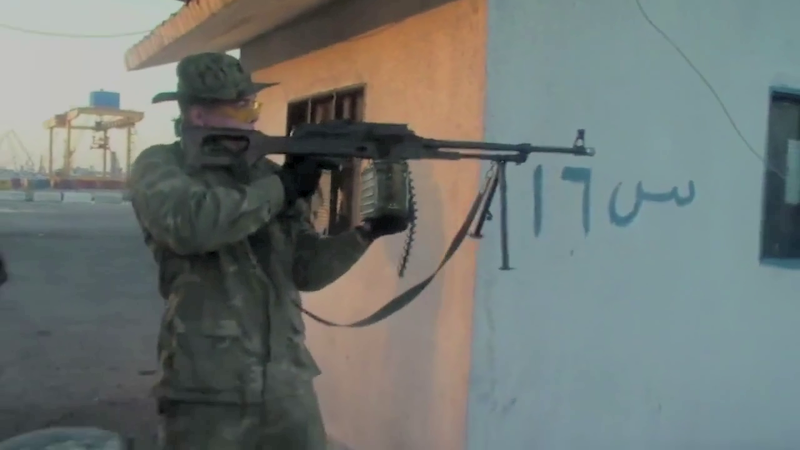 Russia has only one Naval base in an area with Arabic speakers so although this video could have been shot anywhere in theory, it is pretty obvious that they are in Tartus and they are Russians and they seem to be preparing for close quarters small arms based combat. 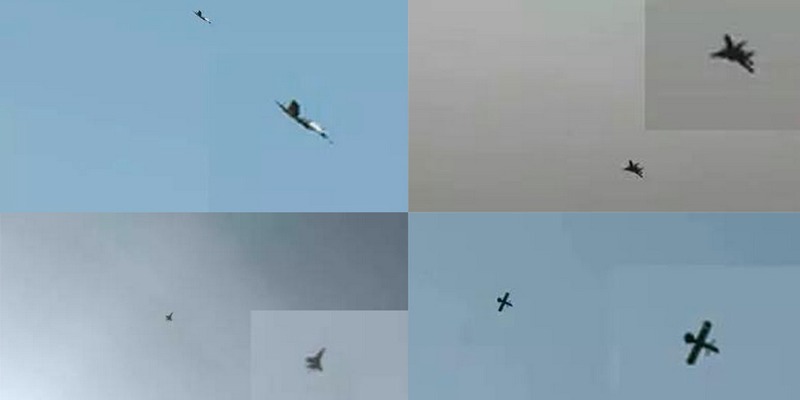 These stills of supposed Russian jets over Syria were posted on Twitter by al Nusra front. No videos, no ground references, no evidence the footage was even shot in Syria or that it showed Russian jets..
A Story that was lost in Hype. Thierry Meyssan broke this story several weeks ago on August 24thbut his story was lost in a great tide of hype and embellishment that followed. This was followed by a tidal wave of hyped stories based on tendentious and phony evidence. There were pointless photographs of supposedly Russian aircraft flying sorties over Syria. There is no evidence that any of the photographs of aircraft were authentic or that Russian pilots are flying sorties over Syria. The claim that there were Russian troops in Latakia dd not appear to be supported by any real evidence, either unless you count the presence of Russian military vehicles as evidence which is ridiculous. As far as Zabadani goes, another place it was claimed Russians were fighting, I have watched hours of combat footage from Zabadani and it is very clear that Hezbollah are doing the fighting with some support from the Syrian Army. The rest of the story revolved largely around military equipment, a fairly fruitless path to take as essentially all of the hardware the Syrian Army use is Russian and has been for decades. It is no secret that Russia has continued to supply weapons to Syria, although Russia pretends that it is only delivering defensive weaponry, this is laughable. Russia’s role in support of the Syrian Government deserves praise as this support has enabled the Syrian state to survive the NATO/Israel/Saudi sponsored barrage of barbarous jihadists. A look at the reality of Libya, the failed state NATO created in North Africa four years ago shows that Russia has done the world and human civilisation a favor by supporting the Syrian Government and the idea that the US with its hundreds of TOW missiles in the hands of terror groups has the right to offer one word of criticism is an abomination given the chaos and suffering Western policy in the Middle East has caused over the past decade. The Port is more visible in this shot. 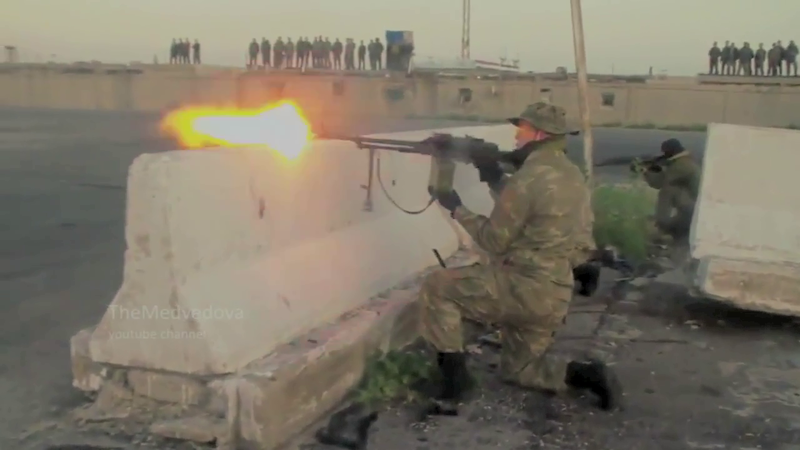 The hype around the apparent increased Russian military presence in Syria has been dismaying. While the US and their allies have clearly hoping they could somehow parlay the anti- IS operation into regime change in Syria as matters stand the US has been bombing Syria for 50 weeks and they have never targeted the Syrian Army or their allies. The US has never come out and admitted it but they have been 100% fighting on the side of the Syrian Government in the Syrian Civil war. All of the US airstrikes have targeted either the al Nusra front or the IS group, the key enemies of the Syrian Government. Therefore if Russian troops are actually going to be fighting in Syria, they are not going to be starting World War 3, as many have claimed; for the obvious reason that Russia will be joining the Syrian war on the same side as the US. The stationing of Russian troops in Syria does not mean that they will be involved in combat. This is likely a political move aimed at outflanking the West and guaranteeing that the Syrian state will not be destroyed and that the Tartus Naval base remains. It is highly unlikely that the Russian forces in Syria will be engaged in heavy fighting, but it is overwhelmingly likely that their presence will see an increase in weapons transfers and all types of support to Syria. This is Russia gently edging the US aside and claiming they can do a better job against the IS group. This is not Russia confronting the US in the slightest, this is Russia holding the US to their (insincere) word. Map of Syria with Tartus highlighted. Russia appears to see the preservation of the Syrian state as a key goal rather than the Assad leadership. It is possible that Assad and his inner circle have agreed to leave or are planning to leave. The Russian president Vladimir Putin recently stated that Assad was “open” to snap elections and/or a power sharing agreement. The Minsk 2 formula could easily be used as a framework for ending the Syrian war. The fact tat the Ukraine government has not stopped shelling the civilians of the Donbass region does not discredit the Minsk formula. The first step must be for all sides to agree to end offensive operations.. The territorial position must be made static. Once the sprawling war can be contained, the IS group will have to be evicted. If the IS group was the only group still fighting in Syria, they would cease to exist as a viable fighting force within weeks. Once the IS group is evicted, the Syrian state must restore and secure the borders and a comprehensive political solution must be achieved. The areas under rebel control should be offered similar provisions to those offered Donetsk and Luhansk in the Minsk accords, a deal for local autonomy and fresh elections. There are many problems with this idea, including the fact that it would leave large areas of Syria under the control of al Nusra front, the al Qaeda Syria affiliate but the only other choice is endless war. The neatly posed fake dead child on the beach worked a treat! The refugee psyop was the latest installment in the disastrous Arab spring concocted by Western intelligence agencies. 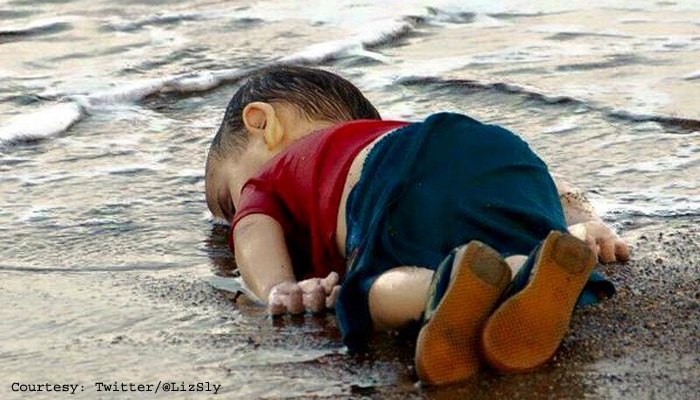 Still the posed dead Syrian child on the beach worked a treat with the less critically inclined people of the world who lapped it up gratefully as they do everything they are told. The idea that the refugees are fleeing Assad is laughable, a fact illustrated by the fact that millions of internally displaced Syrians have moved into safe Government held areas. The population of Latakia province has for example more than doubled over the course of the war from 1.3 to 3 million. Of course many of the refugees fled from the bombardment of Syrian Military jets, just as many more fled the rampaging jihadists but Syrians have fled by the million into the Syrian Government held areas. The opposite has happened in rebel held areas, the IS capital in Syria Raqqa has seen it’s population halved since the maniacal Neo-Bolshevik militants seized the town, from 200 to fewer than 100 thousand. The refugees deserve assistance and respect but the idea that you reward the people who are willing and able to bribe their way from the dismal refugee camps while those who cannot are left to rot is an absolute joke. The refugee psyop is also being used to tear down the last strands of independence and sovereignty in Europe. Refugee orders are coming directly to the nation states as edicts from the EU. 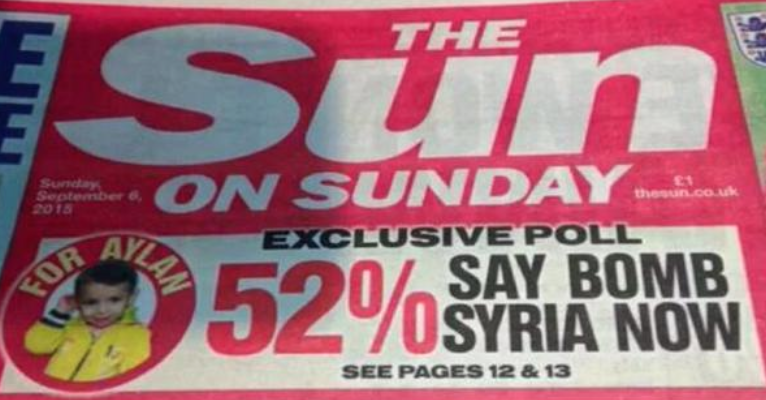 Murdoch’s maggots are addicted to lies and war. Advocating mass murder is their raison d’etre. The Syrian war has been an immense disaster and the only real solution to the refugee crisis is to end the war. The solution to the crisis is to end the war in Syria. The millions of people in the refugee camps of Turkey, Lebanon and Jordan are never all going to be able to live in the West. The idea that upping refugee intakes slightly solves the problem is absolute rubbish. The posturing of leaders such as David Cameron, who almost never mentions Libya these days is utterly nauseating. “We can do all we can as the moral, humanitarian nation at taking people and spending money on aid and helping in refugee camps,” Mr Cameron told MPs at Prime Minister’s Questions. “But we have to be part of the international alliance that says we need an approach in Syria which will mean we have a government that can look after its people. The very idea that these bloodthirsty vultures of the West think they can pose as the guardians of human rights even as the bleeding continues from the last campaign of “humanitarian bombing” in Libya is almost beyond belief . Cameron and the rest of the “Bankers little helpers” are an unambiguous force for evil in the world and appear to be proud of their role. The forces of darkness and evil are clearly desperate and it can only be hoped that Cameron and the rest of the War party are never allowed to destroy another nation with their sickening lies and pitiful sophistry and that these snakes return as soon as possible to the abyss from which they emanate. *The Battle for Stalingrad is widely perceived as the turning point in the European segment of the Second World War. After more than a years fighting in the city a German Army of hundreds of thousands surrendered to the Soviet forces after being cut off from supplies and running out of food and ammunition. People still like to tell the story of Napoleon’s Army in Russia being forced to eat their dead horses in the winter snow lest they starve. In Stalingrad the situation was so desperate that the German soldiers were eating their dead comrades after they starved or froze to death. Slowly starving to death, they resorted to slaughtering the 10,000 horses they had brought to the battle as a source of food. The Germans also had another problem to contend with, the cold, ill equipped for winter warfare as Hitler had arrogantly thought the battle would be over by the winter, the Germans now had to face temperatures of minus 30 degrees celsius (for comparison the temperature in your freezer is about minus 18 to 19 degrees celsius). Too weak to attempt the breakout that Hitler ordered too late, those who hadn’t been killed or starved, simply froze to death. Therefore if Putin promised Erdogan “a new Stalingrad in Northern Syria as was reported he presumably meant more than simply sending Syria more and better weapons. ← Four Blasts in Four Weeks! New Explosion Strikes Chinese Chemical Plant. This week, a day or so after admitting the UK have a drone based ‘kill Brits overseas list’, Cameron pumps the ever-necessary preposterous mantra, ‘we have to be frank, particularly the eastern Mediterranean crisis is because Assad has butchered his own people and because ISIL have in their own way butchered others, and millions have fled Syria’. ‘Frank..?’ – you can imagine the scriptwriters twiddling to find just the right word. In reading your synopsis and analysis I’m somewhat clearer about this most upsetting puzzle. Oh Syria… what have you been, and are you, going through? From the start I thought Putin would have to draw a line at Syria or somehow face the march on Moscow. The difficulty in assessing this is in the complexity and repercussions in exercising the powers they have over one another and the opportunity to double and treble-cross in semi-partnerships. Motives overall demonstrate a NWO incremental take-over, but how far do nation’s politicos care who’s seen as villain or saviour, and this a brake on progress for power-block advances and conflict? Is this realistic? The public faces appear to care, I suppose carry personal fears that impact on them individually. The pushing from behind, threats from those over-arching leavers who fight to be in, or control, believing they’ll emerge in their stupidly sick and flawed future fantasy. Flawed, the operative word. Is it down to how far Putin is in – or out – for war, if pushed? The Syrian break up and give-away is surely not be posturing control, when indicating national cohesion and moral resistance, alongside outside supporters: continuing to keep Syria – somewhat – Syria. A reversal of the meddlers strategy and relative peace would be historic good news. Joel Skousan’s firmly held ideas over a number of years, spell out the proposal; power-blocks need, at the cross-roads, to apportion blame in their specific, pre-meditated plan, for the new-world realignment. He’s currently reporting, the yet to be confirmed Israeli news channel’s claims, that a Russian fighter squadron will soon arrive followed by Special Forces to take on ISIS. Then there’s the latest Israel, oil rights, Murdoch and Rothschild manoeuvre. Contrary opinion amongst credible commentators, you certainly help sift the mix James and as ever, fill in some important background information. You’ve also linked and brought up buried analysis we’d do well to note. No need to respond so… much need to keep the presses rolling. Thanks for a great comment Mark. It is very hard to figure out whether Russia is fighting the New World order or fighting for a place at the table of the New World Order. Time will tell. Thanks again. Well, I say Putin/Russia are in on a world wide Broadway stage show. He goes into Syria, a justified move I would say, on his part. But The US and allies could take that 2 ways. They could be reasonable (if hell has frozen over, of course) and say, well, now we don’t have to worry about ISIS or ISIL. But ISIS and ISIL are phony anyway. They are USA and allies puppets says I. Or the US and allies could say, oh, what an over-reaching and unjustified thing you did, Mr. Putin. We are totally offended by your aggression to ward Syria and we simply must insist you withdraw by such and such a time or we will storm Syria and throw you out, you monster, you! So whether this is a mild action or not, it could lead to far bigger things with no trouble at all. Recall in the 80s that Argentina taking over the little Falkland Islands, almost no loss at all, as far as I know, the UK under Thatcher insisted it was a huge outrage and violation of law and principle and worth sending many ships and soldiers to. Argentina likely did not think it would be seen as a big deal and I dare say they were right. It was not a big deal. But the UK wanted to show them and the world that the UK still had teeth and claws and were not afraid to fight it out. It gave them a chance to try new weapons, too, always a plus. Rule one! 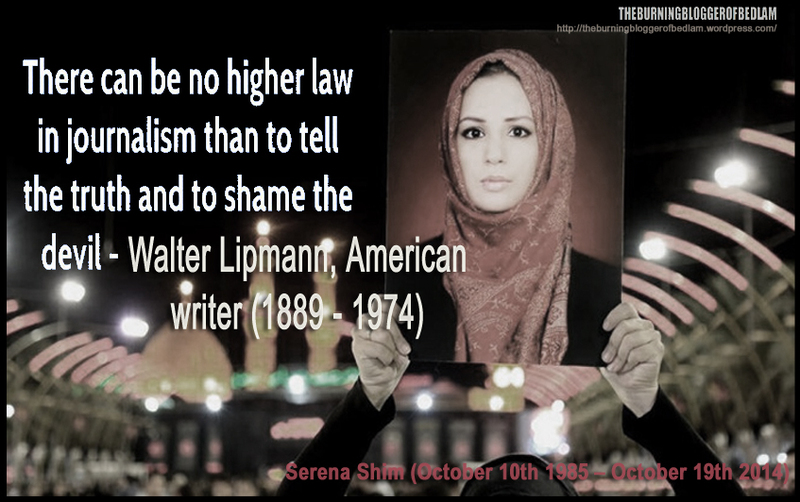 Never expect a nation to act rationally and intelligently. They almost never do. We have one good example of rational behavior in Augustus of Rome after Rome lost 3 legions to a few small German tribes. Though it was a crushing blow to Roman egos, the truth was that The loss of the legions and the lack of anything substantially valuable to gain in Germany cause Augustus to forget about German and find more profitable ventures the next time, even though the Senate were beating the war drums of retaliation. Augustus acted more like a modern corporation sometimes does in cutting losses and changing strategies. But in politics and it power. sanity quickly disappears and besides, governments enjoy killing of their soldiers. They deny it but they have done it too many times to take them seriously. From your resident cynic, truth1now! You make many good points truth1now. Your cynicism is not misplaced and you make a lot of great observations.I got around to watching the story of the Roman legions lost in Germany that you left as a link previously and referred to in your comment, it was very interesting- thanks. I read the American Free press piece you left as a link and it was very good, but I disagree. In my opinion the Russian-Western conflict has petered out. The war in the Donbass is over, Poroshenko had the troops waiting to storm the Donbass but ultimately the forces for peace are more powerful than the war party in Europe right now and the War party realise they backed a loser in the Ukraine and so both the Neocons and Russia are trying to walk away from that conflict. The way I see it, France, Germany, Russia and the realists in the US want the war to end and things to return to normal. The Neocons and certain moronic elements of the US military such as General Breedlove and some of the Baltic states want the conflict to continue and even expand. ISIl are both fake and real. The threat to the West is fake, the origins of the group are fake, the leadership is fake but the fighters on the ground are very real, they commit a lot of terrible crimes, they can easily be defeated as many have pointed out, by simply cutting the Turkey supply lines. There has been an intense power struggle within the US regarding Syrian policy. The Neocons are clear, they want Syria destroyed, just like Iraq and Libya as per Israel’s wishes. The realists in the US know that if salafist jihadists are able to conquer Syria and Iraq they will use it as a platform from which to destroy the entire Middle East (other than Israel which they never touch) and the US does not want to lose all those Gulf state puppets just yet. So the realists were probably responsible for the initial IS psyop with the fake beheadings and also the stand down that enabled them to drive a lot of the US military equipment they seized in Iraq back to Syria. The Neocons were defeated in the wake of the Al Ghouta false flag of August 2013, that was their moment and after that the IS was used to enter Syria on the opposite side to that originally intended by the Neocons. The cruise missiles that were fired on al Nusra and ISIL at the start of the Syria operation last September 22nd were the ones that had been intended for Assad only a year earlier. The US basically changed sides but the weak realists didn’t have the guts to admit it, still pretending that they were of a like mind with the Neocons but in reality the airstrikes have been half hearted but they have all targeted the enemies of the Syrian Government. None of the airstrikes hit the Syrian Army or their allies. Even more than that, Western special forces were inserted into Kurdish YPG units as forward air controllers to target air strikes, and in places such as Hasakeh in Northern Syria, these YPG units fight against the IS group and co-operate with the Syrian Army. In some of the operations around Hasakeh combined YPG/ Syrian Army forces operated under the umbrella of US air strikes and so as much as it was obvious the US was trying to sneak their way into ousting Assad, they also shifted the narrative from that of the Arab spring back to the original Global War on Terror narrative with IS playing al Qaedaamd their actions have been completely counter to regime change in Syria. According to the Thierry Meyssan piece, and I should have mentioned this, the Russian move into Syria was in co-operation with the US and with their approval. I cannot confirm this but it fits with the known facts.The Neocons have fallen from power everywhere but the State Department, Israel, Britain and the Western media. It’s over for them. The US and the world have moved on from the unipolar moment and the US in my opinion will begin a slow process of retreat from empire in the next several years and revert to being just another great power state as they were prior to World War 2. That was a rather long winded response truth1now, many thanks for your comment. Thanks truth1now, you are very right about things changing quickly. My analysis may prove to be hopelessly optimistic. Thanks for comment.